and as we can still see today, left their mark on it in its place names, churches and chapels, crosses and holy wells, found across the whole of Cornwall. Cornwall, or as it was then, part of Dumnonia, lay on the route between Wales and Brittany (Armorica). Landing at Padstow on the north coast or Fowey on the south, the Christian missionaries and pilgrims would cross Cornwall, sometimes travelling in groups. This network of paths has now been re-instituted as a walking route known as The Saints Way. St Piran, an Irish missionary landed on Cornwall's north coast and established his church, the oratory, at Perranzabuloe in the early 6th century. Numerous churches and holy wells throughout Cornwall have been dedicated to him from his first church which now lies preserved beneath the sands at Penhale, Perranporth to Perranwell, Perranarworthal and Perranuthnoe. Holy Wells dedicated to him are at Callestick, Perranzabuloe and Perranarworthal. Piran or Perran is Cornwall's patron saint and is also credited with the discovery of tin smelting. St Petroc, another famous Cornish Saint, landed at Lanwethinoc, todays Padstow, around 520AD. Padstow was known for a time as Petroc-stow The churches of Padstow and Bodmin are dedicated to him as is the Holy Well at Bodmin. Trevalga, between Tintagel and Boscastle and Egloshayle near Wadebridge are also dedicated to him. Legend tells that near his burial place is a Holy Well which has curative properties for the eyes. These are just two of the most well known Cornish Saints, Cornwall has over 250 parish churches, many of them founded by or dedicated to the Celtic missionaries who came to Cornwall more than 1,500 years ago, over 600 ancient crosses have been catalogued of various styles with the oldest bearing the chi-rho monogram dating from the 5th and 6th centuries; and nearly 200 holy wells. There are a number of different types of Cornish Cross: Wheal-headed or Round Crosses, Pillar or Slab Crosses, Latin Crosses, Lantern Crosses and Holed Crosses. Some crosses are highly ornamented while others bear no ornamentation at all. 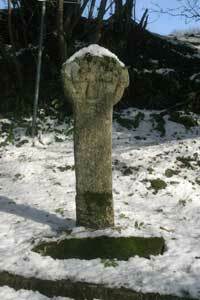 Churchyard Crosses: Stone Crosses were erected in the 'lan' or sacred enclosure of the burial ground in which the Saints established their churches. The 'lan' would often have pre-dated the building of the church which now stands on them. Wayside Crosses: Many Crosses in Cornwall often served as route markers guiding the faithful traveller and pilgrims crossing Cornwall to visit their parish churches, chapels and other sites of pilgrimage. The parish church could be miles away from some of the tiny hamlets. Visiting the church would be a long walk which could cross fields, moorland and all kinds of unmarked terrain making a route marker very necessary. Memorial Crosses: Inscribed stones and inscribed crosses also occur in Cornwall, most often in the north and east of Cornwall but not exclusively. The King Doniert Stone at St Cleer is a fine example. 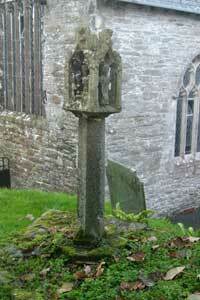 Market/Village Crosses: There are few of these in Cornwall. 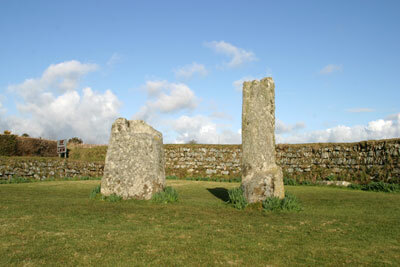 St Ewe, in south Cornwall has the remains of one example. 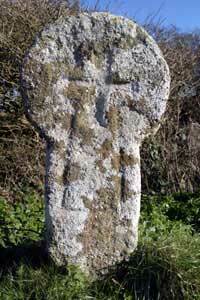 Ancient crosses are found throughout Cornwall. Some are easy to find and are located in easily accessable places, while for the more adventurous explorer, there are those cross sites which require a good map and guidebook and a walk into Cornwall's quieter hidden areas, of leafy lanes, moorland streams and rugged rocky moors. 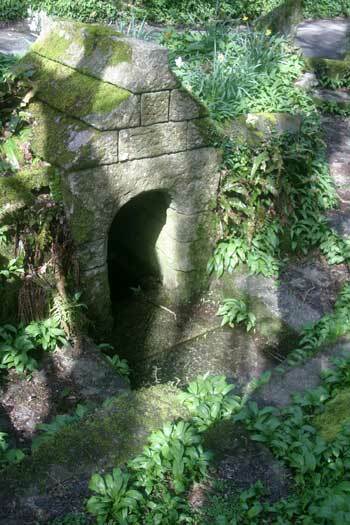 Holy Wells are associated with the Cornish Saint to whom they are dedicated. Many of them are believed to be curative for specific illnesses, while others are generally restorative and some are thought to have divinative powers. 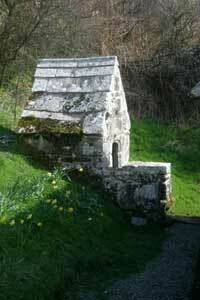 Guidebooks are available which list the Holy Well sites, nearly 200 of them, and directions for finding them. 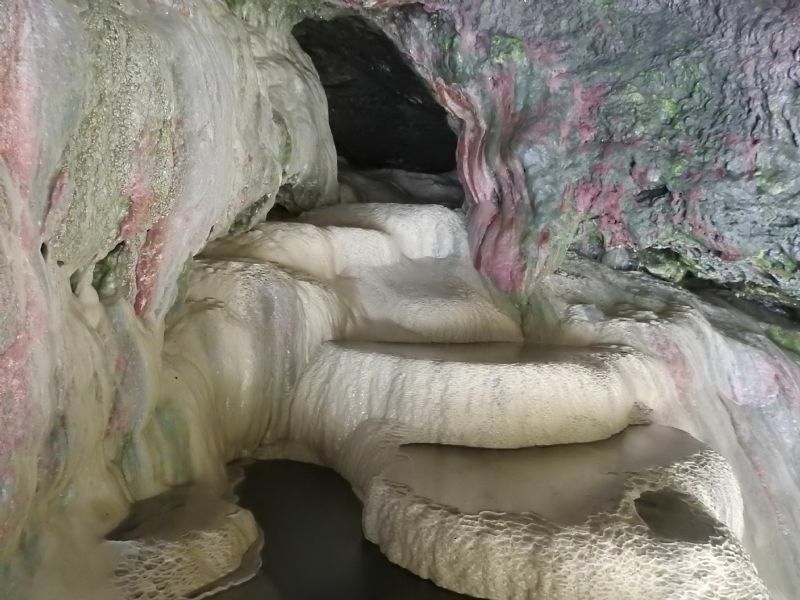 Visiting the Holy Wells in Cornwall will take you into hidden corners of Cornwall away from the busy tourist centres to explore secluded, peaceful havens frozen in time where you can experience something of the feeling which these sites would have inspired in their original visitors many centuries ago. 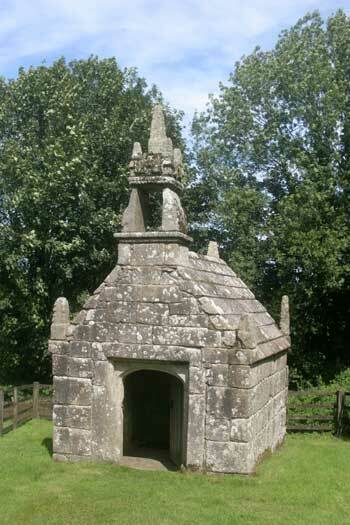 Three of the most beautiful Holy Wells in Cornwall are the Well of St Clether in the parish of St Clether in North Cornwall, the Well of St Keyne and Dupath Holy Well. For more information about the Parish Churches, Holy Wells and Crosses of Cornwall visit our A-Z of Cornwall, where you will find information in our index of town and individual site pages. The map shows the locations of just a few of Cornwall's ancient Crosses and Holy Wells. More being added every month. Why not visit Cornwall to experience the sites for yourself.